Sixpence For Your Shoe: Move over Wedding Cake...! Whoever said the prettiest of cakes need be reserved for weddings alone? At Sixpence, we happen to adore beautiful party cakes for all occasions! Wedding cakes have certainly come a long way over the years, gone are the days of the large tipped piping, off-white stacked layer on layer, tasteless confections. Pastry chef's have been perfecting their art to include incredible design, sugar paste flowers, hand painted fontant and elaborate shapes. And if you love period fashion, how is this for a blast right back into the 50's. We love the work of Jacques Pastries for all of the beautiful work they produce, including this adorable tribute to the poodle skirt. And right here in Connecitcut is the The Cake Boutique. These girls just GET IT when it comes to party cakes. 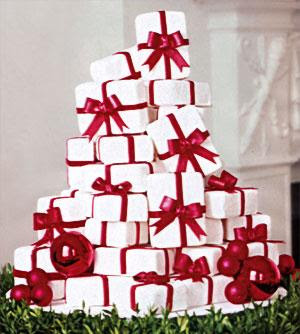 How adorable is this Prada show box cake? Or, for girls like Lindsay and I who adore hand bags, check out these confections! Gucci, Chanel, Louis or D&B... let's be honest ladies, why should anyone have to choose just one? Lastly, this "show stopper" from the The Pink Cake Box is absolutely incredible! For the most feminine of feminime, an ivory frock with pale pink petals. English tea comes to mind for me! If it only tastes half as good as it looks, I am sure it will be divine! When it comes to occasion cakes, you can definitely have your cake and eat it too! I know we certainly prefer it that way. Enjoy! So digging the Prada Box. Can I have one of those with a really shoe box filled with a cute pair of heels for my next birthday? Here is to hoping and great post. these are AMAZING! 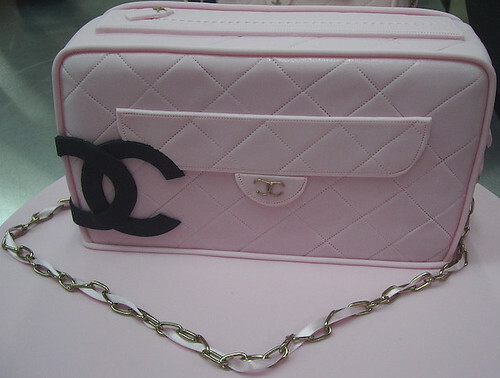 holy moly those purse cakes are crazy! !